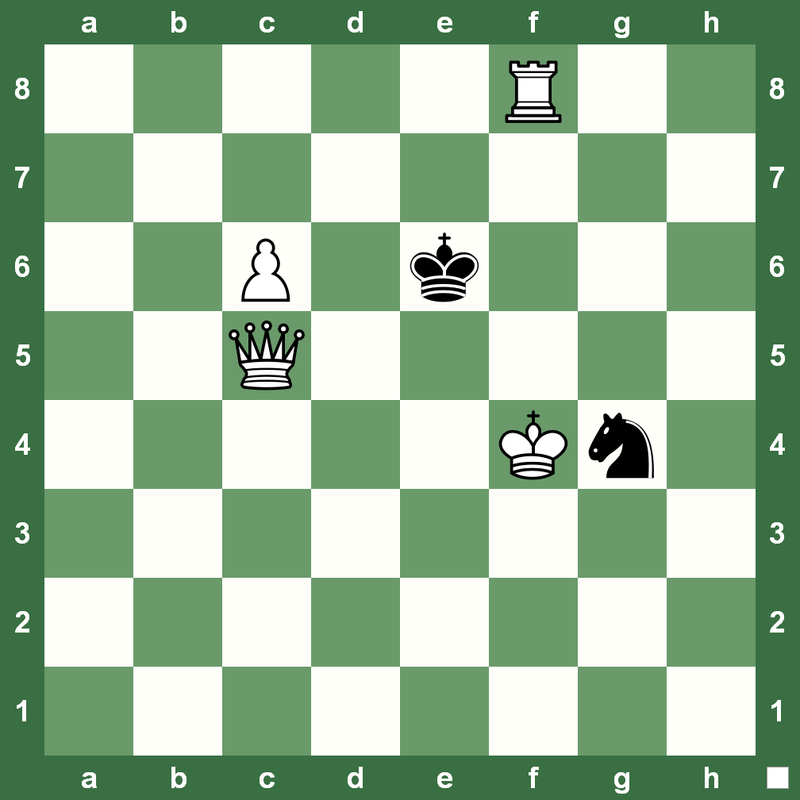 A simple position in which White can checkmate in two. Can you spot it? 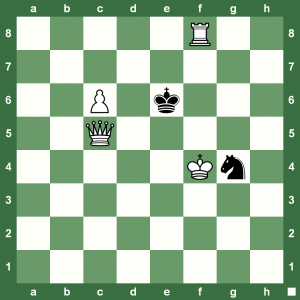 Hint: Of course Black is in zugzwang and the Black King has nowhere to go. Have fun with chess and have fun making your chess truly strong with Chess King! […] 1.¢g5 ¤f6 (1…¤e3 2.¦f6#) 2.¦xf6# (0:00:03) 1. Correct me if I am wrong. But after c7 the pawn would be unstoppable and mate is unavoidable.